Spacious split foyer home has space for the whole family! The sunny living room has large windows for plenty of natural light, and flows into the combination kitchen and dining areas. The large kitchen has generous cabinet and counter space to prepare meals. Down the hall are two bedrooms and one bathroom. The basement has a spacious family room has two bedrooms, one bathroom and a utility room. 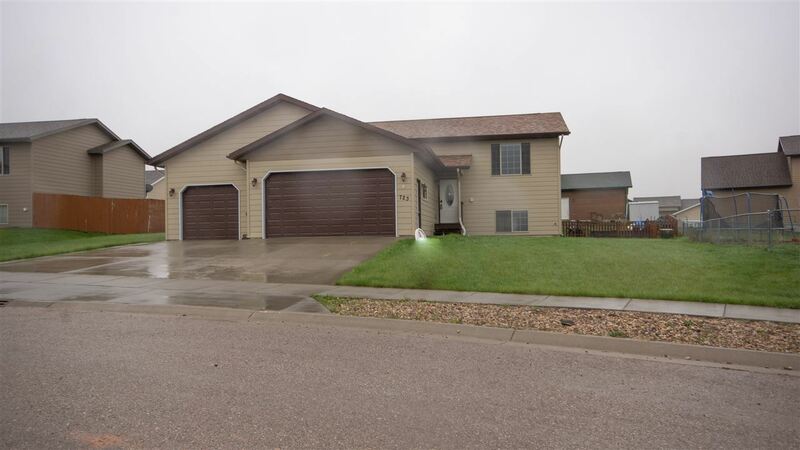 Located close to EAFB, I-90 and minutes from shopping and restaurants. Seller is Secretary of Veteran&apos;s affairs, this property may qualify for Vendee Financing. FEMA Flood Zone: X. Plumbing did not hold positive air pressure. Listed by Kera Williams, KWBH, 605-415-6636.